As I look outside my window, all I can see is rain as far as the eye can see (and I live on a ridge, so the eye can see pretty far). Currently, Hawaii is getting drenched, and there are few places around the state likely to escape this late summer storm. Heck, even my poor 5th grade daughter is on a camping trip with her class, poor thing!). Honolulu: Most visitors don’t stay in downtown Honolulu, but it’s one of the driest places on Oahu, with just 17 inches of rain per year. However, nearby Waikiki Beach doesn’t get much more, with about 22 inches of rain falling annually. Kahala Beach: Here, you’ll find the Kahala Hotel and Resort, which is reason-enough to come here! Kahala receives less than 20 inches of rain per year. Ko Olina: Disney just opened its first Hawaii resort, Aulani, in Ko Olina, and the area isn’t done building yet. In fact, the Four Seasons just renovated the old Mariott here, and you can be one of the first to enjoy it! Oh, and enjoy the weather, too — the area receives less than 20 inches of rain per year. Kaanapali: Here, you’ll find all sorts of hotels and resorts, including most (if not all) the brand names: Hyatt, Marriott, Sheraton, Westin, etc. It only receives 20 inches of rain per year. Lahaina: You’ll find mostly smaller, locally-owned hotels here. And, you’ll also find quite a bit of culture and history — and shopping! Lahaina only gets 17 inches of rain per year. Kihei: Kihei has some hotels, but you’ll mostly find condo rentals here. Average rainfall is just 17 inches per year. You'll find all sorts of hotels and resorts, including most (if not all) the brand names: Hyatt, Marriott, Sheraton, Westin, etc. in Kaanapali, an the area only receives 20 inches of rain per year. Wailea: Here, you’ll find the Four Seasons, the Grand Wailea, and a long list of luxury hotels. You’ll also find good weather, typically — Wailea only gets about 17 inches of rain per year. 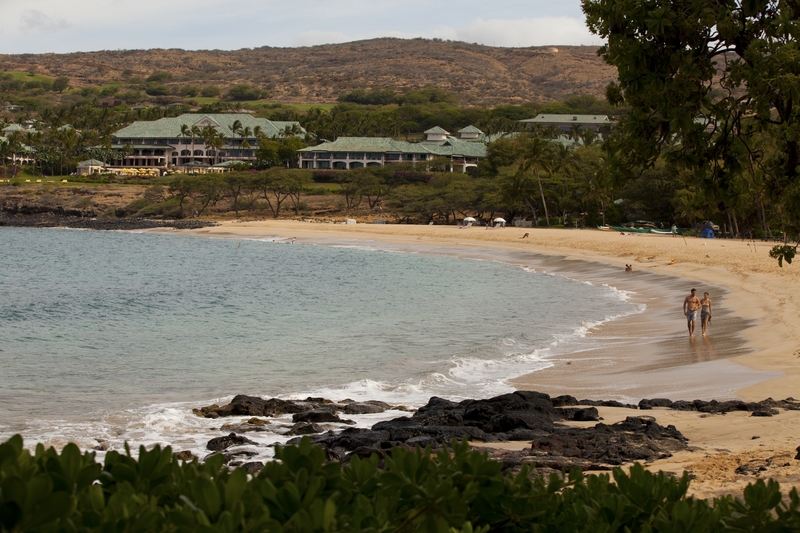 Makena: The only hotel you’ll find here is the Makena Beach Hotel. But, the weather is fantastic, averaging about 17 inches of rain per year. Nearly all resort areas on Kauai average more than 20 inches of rainfall a year. But, you’re best bet for sunny weather is to head to Poipu or Waimea. Areas with a bit more rainfall, but typically nice weather include Kapaa and Lihue. Avoid Princeville and Hanalei if you’re not prepared for rain. Waikoloa: Waikoloa is one of my all-time favorite places on the Big Island, and the weather is a big reason why. It gets only about 17 inches of rain per year. Kona: Kona, with its fun nightlife and vibrant hotels, is one of the driest places in Hawaii. It only receives about 12 inches of rain per year. Kohala Coast: The entire Kohala Coast, which encompasses the area from Kona all the way up the coast to the northwest tip of the island, only receives about 10 inches of rain per year. You’ll find luxury hotels, such as the Mauna Kea Resort and the Hapuna Beach Prince Hotel there. 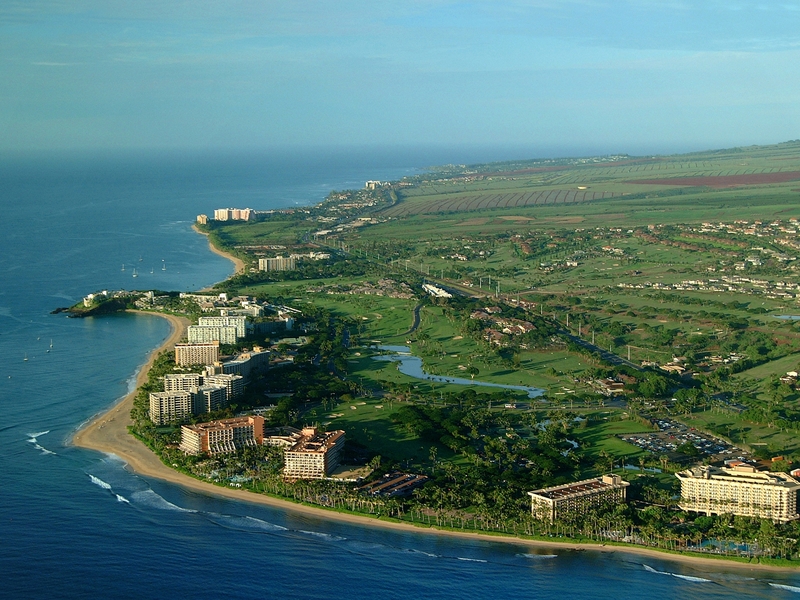 Mauna Lani: The Mauna Lani resort area is also along the Kohala Coast. It receives about 10 inches of rain per year. The Four Seasons Resort at Manele Bay: The Four Seasons Resort at Manele Bay is on the “dry” side of the island. The area receives much less than the 33 inches per year at Lanai City, but there’s no data specific to Manele Bay. Manele Bay gets much less rain than the 33 inches per year at Lanai City, but there's no data specific to Manele Bay. To my knowledge, there’s only one hotel on Molokai, but it’s an amazing place to visit, especially if you like solitude. Kaunakakai averages about 25 inches of rain per year, which still allows for an abundant amount of sunshine. You can’t predict with 100% accuracy when and where the rain will hit in Hawaii. But, know where to stay in Hawaii for dry weather, and you might be less likely to get wet!